Looking for vintage details with all modern upgrades? Look no further! Situated on leafy, tree lined Bosworth Avenue is this 3 bed/ 2 bath remodeled vintage condo with in unit laundry and parking included. Entry leads to the light and bright living room with cozy gas fireplace and attached open sunroom with south, west and north exposures. 3 nicely sized beds and 2 full baths are down the wide hallway. Kitchen with granite counters and all stainless appliances is open to large dining area which could double as a family room. Freshly painted with refinished hardwood floors throughout. Just out the back door is the private deck with room for a grill plus outdoor table and chairs for summer dining. Newly expanded patio for common use on the first level leads to parking. Large storage unit included. Self managed property shows pride of ownership with new landscaping in front, tidy hallways and common areas. 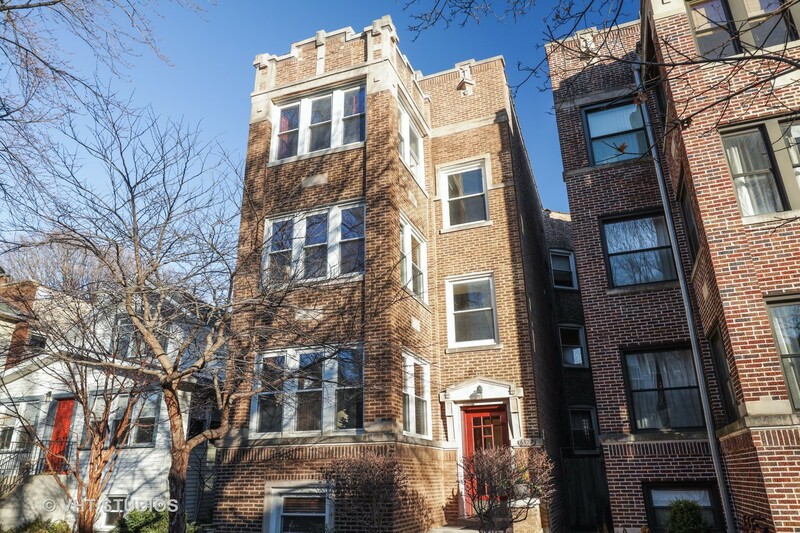 Easily walk to shops, restaurants, schools and the red line.